Students must then “partially meet” standards in the other two content areas. “Meet” and “partially meet” have yet to be defined, but would require evidence of some level of proficiency, as opposed to simply “seat time.” The proposed graduation requirements would enhance the requirements for world languages, visual and performing arts, and health and physical education. *Career and Technical Education students could substitute for their fifth standard to meet the recognized standards of a national industry. They would then be required to partially meet standards in the other three areas. One pathway – students take prescribed number of courses/hours to achieve diploma. Students follow prescribed learning structure. Students participate in developing a Personal Learning Plan (PLP) in collaboration with teachers, parents, others. The PLP is linked to college (post-secondary education), career, and citizenship. Schools must develop systems of intervention that are specific, timely, and based on ongoing “formative” assessments. Teachers monitor progress throughout the day; when a teacher observes a student having difficulty, it prompts an intervention, such as: study group; re-teaching; computer-assisted instruction; hands-on investigation. Students in the Class of 2016 (entering high school in fall 2012) would be the first awarded a standards-based diploma. DoE Handout "High School Diploma Standards Fact Sheet"
As seems to be often the case with this administration, the DoE seems to prefer to mix apples with oranges. In their so called "Fact Sheet" they try to paint a picture of the bad old ways that education is occuring in Maine and try to compare it to a new, improved education system that is utopian in nature. As an experienced high school teacher the protrayal of present education is not what is happening in Maine schools. Students earn credit by showing a mastery of the subject matter. 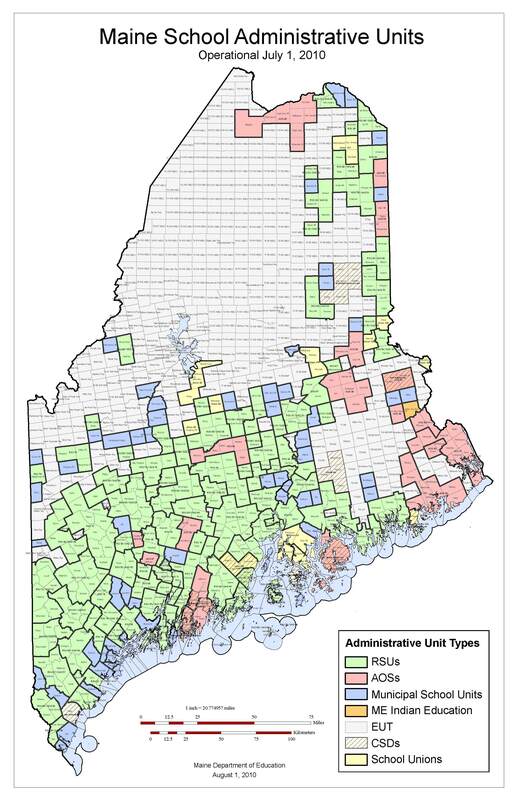 In most, if not all, schools students are provided with multible pathways to meet their needs and the requirements for graduation, the Maine Learning Results. Credit requirements are a traditional way of keeping track of student's achievement and progress. Is our present system perfect? Of course not, limited resources, additional responsibilities on the schools make it impossible to provide a "perfect" educational experience for every student in every school. 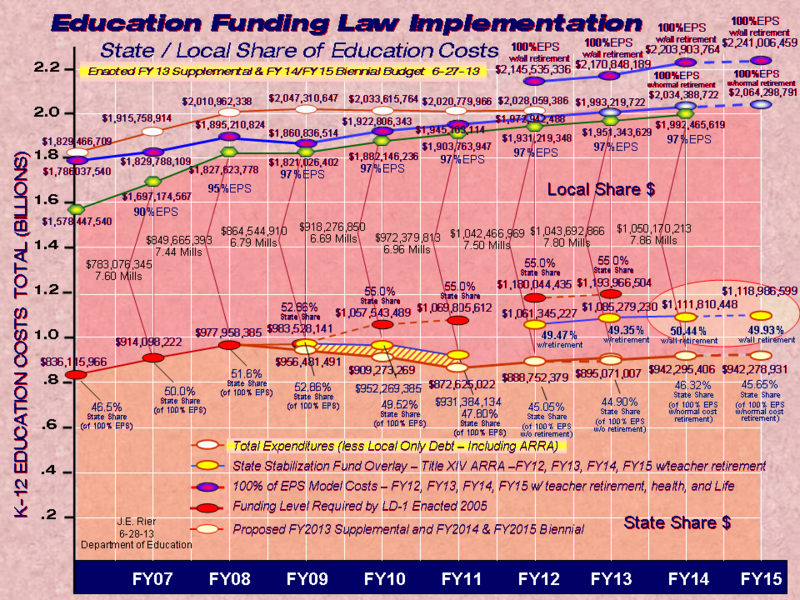 Lets look at the rosy picture that the DoE is portraying for standards-based education. It looks wonderful and I am personaly for it. But will it work? It has ambitious goals which will require robust resources to implement over a period of time. Does Maine have those resources? Is it willing to expend them? I can not see it occuring given the present economic situation the State is in at present. It will be one more unfunded mandate that the local taxpayers will have to pay for and yet have no say in its institution or even understand what all these changes will bring. It sounds a lot like consolidation to me. How is that working for Maine? Mr. Gignoux points out the major problem with the new HS Diploma requirements when he says, "Credit requirements are a traditional way of keeping track of student's achievement and progress." There will have to be some paper-and-pencil or, probably more accurately, database, method of keeping track of student's "mastery". Once in place, it will look not much different from what we have today. Someone will have to make the decision that the student has demonstrated her learning and someone (else?) will have to record that information. Ultimately, it will boil down to a file of some sort with notes that so-and-so demonstrated "proficiency". No one should expect to see transformed students, just increased central office staff keeping track of the data. And, finally, any notion that teachers and schools are not already providing "learning experiences" is just plain wrong. They are just called by another name: lesson plans.